We’re inching closer to the monumental release of The Hunger Games: Catching Fire, the next chapter in the ongoing saga derived from Suzanne Collins’ best-selling YA series. We know that you have plenty of questions about the upcoming sequel. Thankfully, we also know how you might be able to get a few of them answered! Fandango Chief Correspondent Dave Karger will host a live Google+ Hangout with the cast of The Hunger Games on Wednesday, November 6, beginning at 11 a.m. PST/2 p.m. EST from Google’s headquarters in San Francisco. The event is being held in conjuncture with a Catching Fire Global Fan Day. Hunger Games stars Jennifer Lawrence, Josh Hutcherson, Liam Hemsworth and director Francis Lawrence will be interacting with fans throughout the day on Google+, Twitter, Yahoo, Tumblr, Facebook and Instagram. Chick here for the specifics on how you can participate. As for the Hangout, hosted by Karger, six (6) fans will get the exclusive chance to participate in the "Hangout On Air" with Jennifer, Josh, Liam and Francis -- asking their questions directly to the cast. But anyone can attend from home and ask questions LIVE via their Google+ account or on YouTube. In order to be one of the six fans, you must first apply to participate here. Submit your questions now, and start RSVPing for the event through this link. 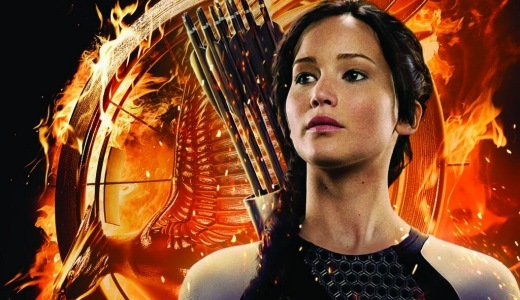 Catching Fire plans to storm theaters once Thor: The Dark World has had its moment. The latest chapter in the Hunger Games series opens everywhere on November 22. Do you have your tickets yet? Watch the latest trailer, then grab your tickets right here on Fandango!